Home / Scholarships / 2018/2019 Holland Scholarship For International Students To Study At Erasmus University- How To Apply! 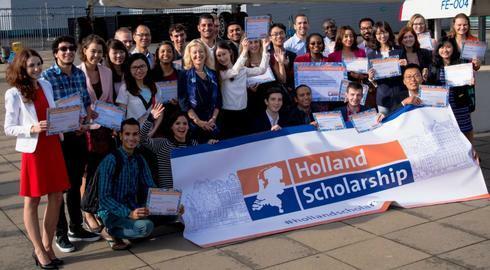 Applications are invited from international students from outside the European Economic Area (EEA) for the 2018/2019 Holland Scholarship for study at Rotterdam School of Management, Erasmus University. The deadline for submission of applications is 31st January 2019. Interested applicants should check out for more details below. The Holland Scholarship is financed by the Dutch Ministry of Education, Culture and Science as well as Rotterdam School of Management, Erasmus University. This scholarship is meant for international students from outside the European Economic Area (EEA) who want to start their bachelor’s or master’s at RSM. You do not have a degree from an educational institution in the Netherlands (excluding exchange programmes in the Netherlands). In principle, a fair distribution of scholarships over the various programmes will take place. This principle may be deviated from and priority may be given to applicants for certain programmes. Additionally, the school may strive for a certain distribution over the continents. By accepting this scholarship, you agree to start your visa procedure before 1 June 2019. RSM holds the right to cancel your scholarship if you have not started your visa procedure and holds the right to offer the scholarship to a student on the waiting list. First step is to register for the Bachelor International Business Administration programme in Studielink. Once you have registered yourself, you will receive a link to our Online Application Form (OLAF). It is not possible to choose a specific scholarship in OLAF. RSM will choose recipients for specific scholarships. RSM will take your scholarship application into consideration as long as you meet the minimum requirements and meet the deadline(s). If applicable: certified copies of other scholarships granted. Apply Before: Applicants can apply from 10 October 2018 until 31 January 2019. Previous NYSC 2018 Batch C Orientation Course Time Table Out – See Full Details Here! Next Ladoke Akintola University Notice To UTME & DE Admission Candidates 2018/2019.